Notepad Icon Notepad | OhGizmo! 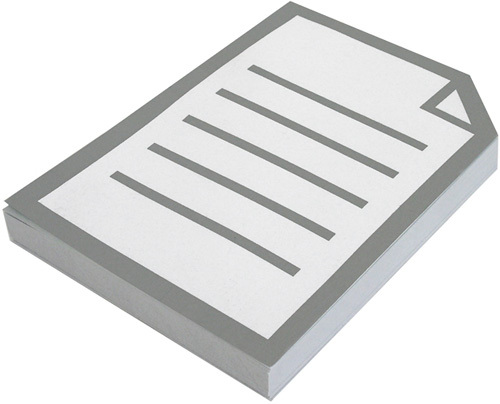 Well this one doesn’t need much explaining, it’s a simple paper notepad designed to look like a notepad icon. Perfect for those 5 or 6 item to-do lists. It was designed by Atypyk Paris and is available from the Design Museum Shop for about $10.